A young child plays with a water tap. California is no stranger to droughts. However, the Sierra Nevada snow that provides essential water to the state is at a 500-year low, according to researchout this week. The population of almost 39 million people is beginning to feel the pinch. In sub-Saharan Africa, meanwhile, half a billion people face severe water shortages. Through water withdrawals, land-use change and climate change, humans are altering the global water cycle. While wealthy countries can manage water challenges easier than the poorest, in the 21st Century we need a transformation in water-management policies if we are to feed a population of 9 billion people by 2050, not least because food production is such a major user of water. Goal six of the UN’s Sustainable Development Goals (SDGs) deals explicitly with the linked issues of water and sanitation. But some of the key issues on water are invisible. The water is either deep underground or flowing in atmospheric rivers of moisture high in the sky. Water may be polluted with invisible chemicals, and changes to water availability and quality may be affecting marginalized people in remote areas. In some places, all of the above coincide. Moreover, meeting SDG6 will require getting the balance right between bluewater, known as “run-off” – water in rivers and deep underground in aquifers, which take thousands of years to replenish; and green water – the rainwater falling on land and in soils. In many places, green water is a largely unmanaged supply of water but with the right incentives this water could be harvested more effectively. 1. If groundwater were a bank account, in many places farmers are withdrawing money without knowing the balance and with no idea when the account will run dry. Until recently we’ve had little idea of the state of global groundwater levels. Now satellite data can show whether reserves are being depleted in the long term. Groundwater extraction in 21 of the 37 largest aquifers globally exceed the recharge rate. 2. Glaciers, our other savings account, will be quickly emptied by rising temperatures. Hundreds of millions of people in South America and Asia depend on water from snow and glacial melt far away and out of sight. A recent study showed that global glacier decline is at a “historically unprecedented” rate. Another study from May this year projects that glaciers will potentially retreat by 70%-99 % by 2100. As the glaciers disappear, water supplies may radically decline as well as become much more erratic, thus constituting one of the biggest threats to future food security. 3. Agriculture is the biggest user of blue water (irrigation accounts for 70% of blue water withdrawals), butirrigatedagriculture only delivers about 34% of agricultural production, implying that 66% of food is grown with “invisible” green water. Food production must double by 2050 to feed a growing population, substantial further development of irrigation for this food production is not possible since blue water is scarce, often degraded, and needed for cities, industry and healthy aquatic ecosystems. This means that the increase in food production will need to come from expanded use of green water by managing rainfall, and increasing water storage in soils. 4. Drinking water, toilets and washing depend on blue water – 840,000 people die each year because they do not have clean reliable drinking water, while 2.5 billion people lack access to improved sanitation. Nearly 80% of all illnesses in developing countries can be traced back to lack of clean water and sanitation. 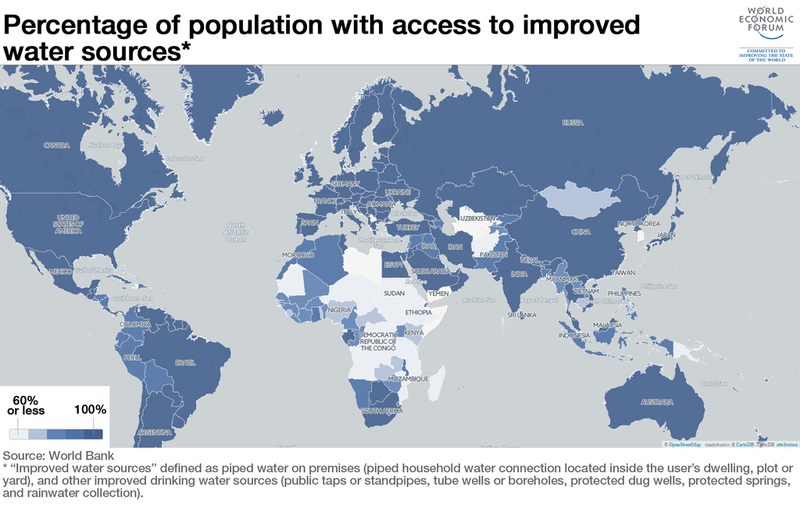 SDG sanitation goals depend entirely on already over-allocated blue-water availability. 5. In developing countries, 70% of industrial waste is dumped untreated into bodies of blue water. Additionally, in all nations, water quality standards must keep pace with new and emerging threats such as the persistent and unknown consequences of high concentrations of pharmaceuticals, micro-plastics and organic compounds in water. 6. The scale of both deforestation and agricultural expansion is immense. We use an area the size of South America to grow our crops and an area the size of Africa for our livestock. This land-use change affects water in the atmosphere by altering how much water evaporates. This changes rainfall patterns downwind and there is growing evidence that clearing forests can aggravate droughts in many places. The current vegetation around the planet provides about 20% of annual rainfall on land, a number that can be three to four times as high in specific locations, and higher yet in the dry season. Increased forest cover – or halting deforestation – for example, are ways of securing rainfall to cities and agricultural regions further downwind. 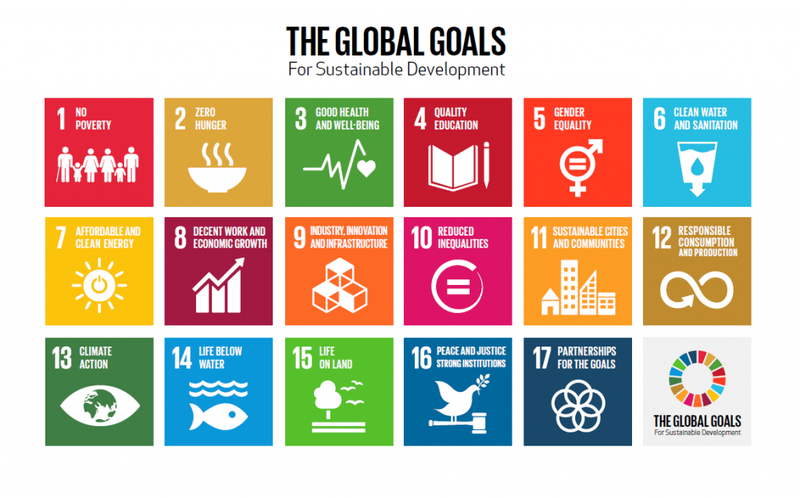 These six invisible issues highlight the urgency of thinking about the global goals systematically and interactively. Eradicating hunger requires better management of green water, resilience in the face of climate variability and sustainable use of groundwater. Clean water demands sustainable industrialization, intact ecosystems and responsible consumption. Targeted, individual approaches are likely to have knock-on effects and unintended consequences, but an integrated approach will greatly enhance the chances of success of the goals. The next step is to develop integrated indicators to do this effectively.